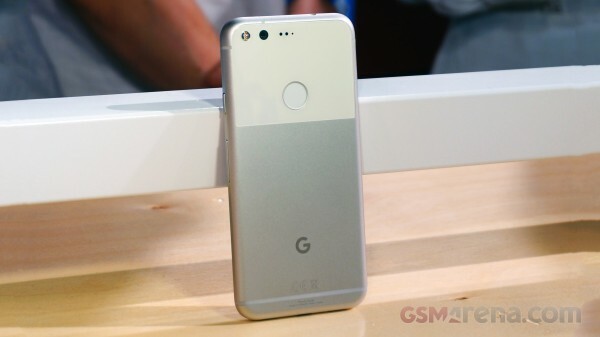 If you were planning to get the Google Pixel XL tomorrow in Verizon stores, the bad news is that there will not be any Pixel XLs with 128GB of storage as they are already sold out. The news comes directly from a member of Verizon’s communications team. Jeffrey Nelson tweets that that the Pixel XL in 128GB configurations have already been sold out, likely through pre-orders. And that all other models should be in stock. Jeffrey also reminds us to get to Verizon before the store opens if you want to get the right model. 4/6 NEWS! Initial inventory of Pixel XL 128GB is SOLD OUT... NOT in stores Thurs. All other models in stock. Get to Verizon early! You’ll still be able to get the Pixel or Pixel XL in 32GB configurations, or the Pixel in the larger 128GB configurations. Seeing as the Pixel XL is already back-ordered on the Google store about a month, you might be able to score one from a Best Buy store somewhere, but as per Best Buy’s website, it looks like they are only carrying the 32GB sizes. In case you didn’t know. The major differences between the Pixel and Pixel XL are the slightly larger screen on the XL (5.5” vs 5.0”), the larger battery in the Pixel XL (3,450 vs 2,770), as well as the higher resolution in the XL (QHD vs 1080p display).